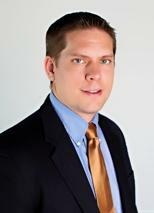 Thad joined our law firm in 2009 after completing a prestigious judicial clerkship for the High Court of American Samoa. Thad received his law degree from the University of Illinois College of Law where he participated in a national moot court competition and served as an editor on the Elder Law Journal, which also published him as an author. Thad focuses his practice on criminal defense, DWI defense, family law, personal injury, and bankruptcy. He is trained and certified in DWI Detection and Standardized Field Sobriety Testing; the same training law enforcement officers receive for DWIs. Thad is also a founding member of the American Association of Premier DUI Attorneys.